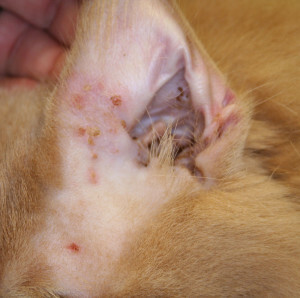 1) Cat immune mediated skin disease—ear—before therapy. Photo of cat ear with papules and crusts. 2) Cat immune mediated skin disease—ear—after four weeks of therapy. 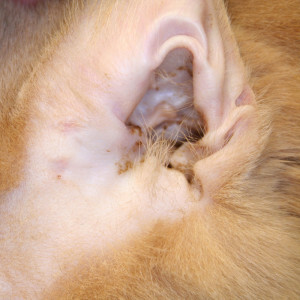 Photo of cat ear with no lesions. 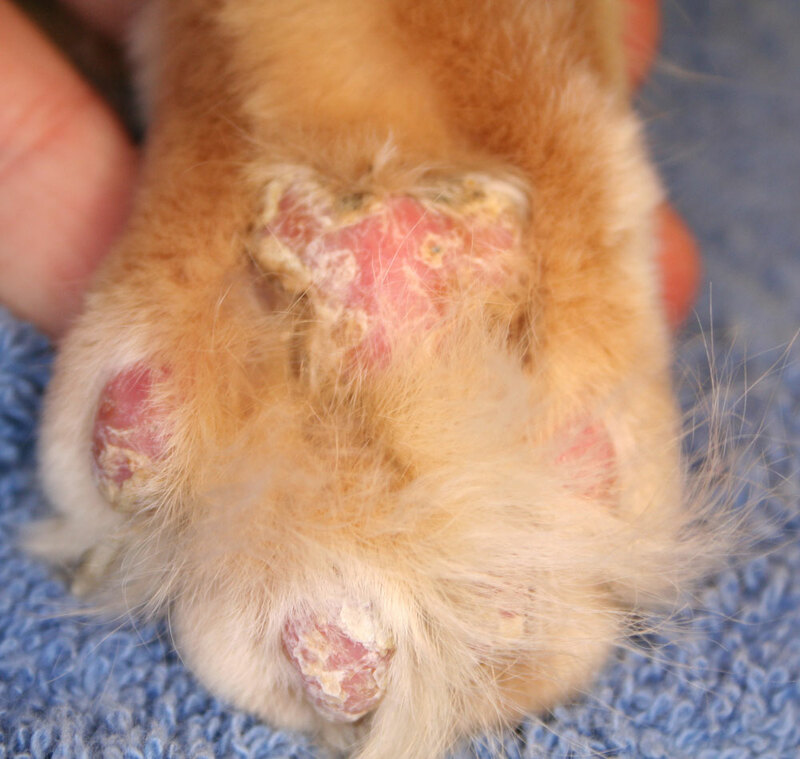 3) Cat immune mediated skin disease—paw—before therapy. 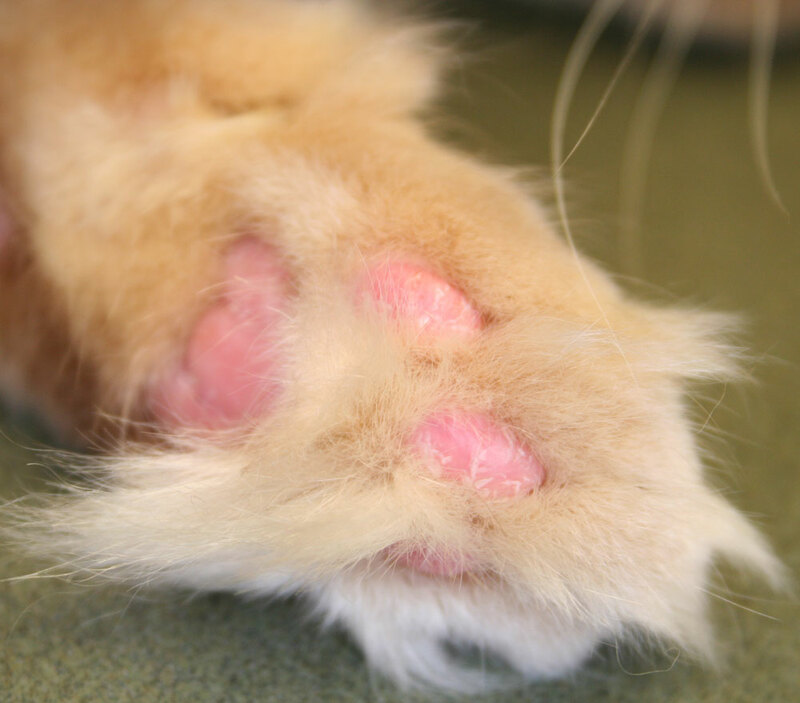 Photo of cat paw with crusts. 4) Cat immune mediated skin disease—paw—after four weeks of therapy. Photo of feline paw with lesions nearly resolved. 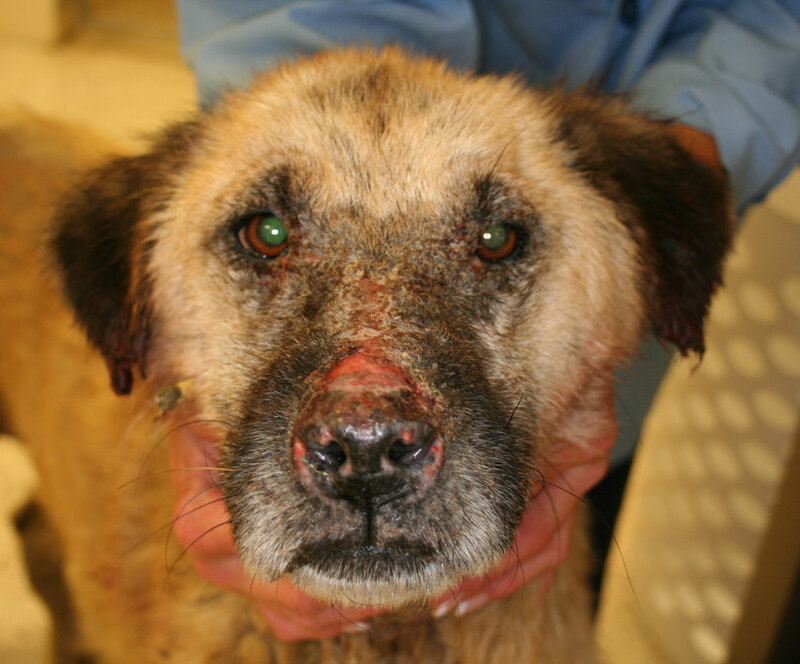 5) Dog immune mediated skin disease before therapy. Photo of dog nose with erosions. 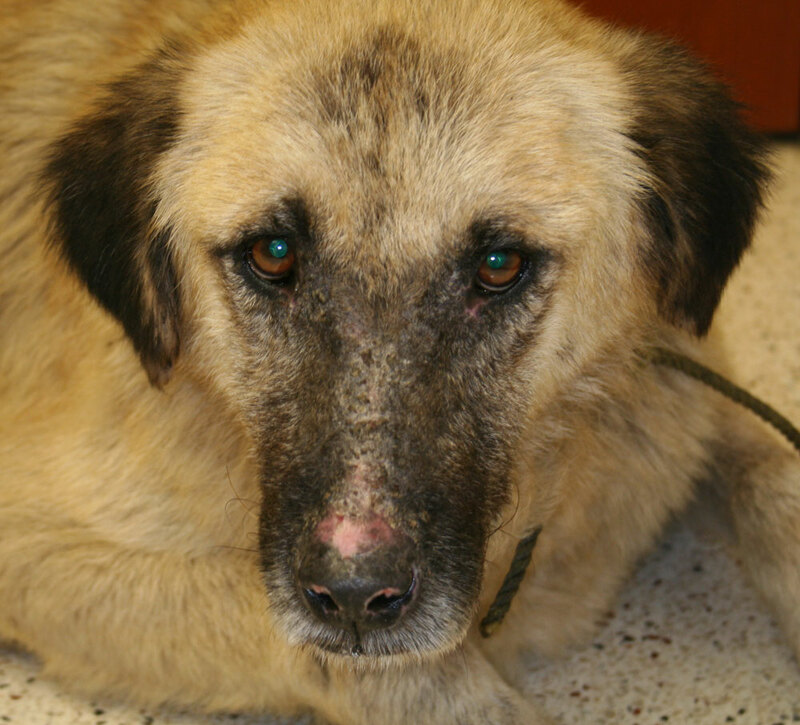 6) Dog immune mediated skin disease after seven weeks therapy. Photo of dog lesions nearly resolved.